Protests and deadly clashes have rocked Sudan for more than three months, fanned by accusations that government mismanagement of the economy has caused food prices to soar and created shortages of fuel and foreign currency. 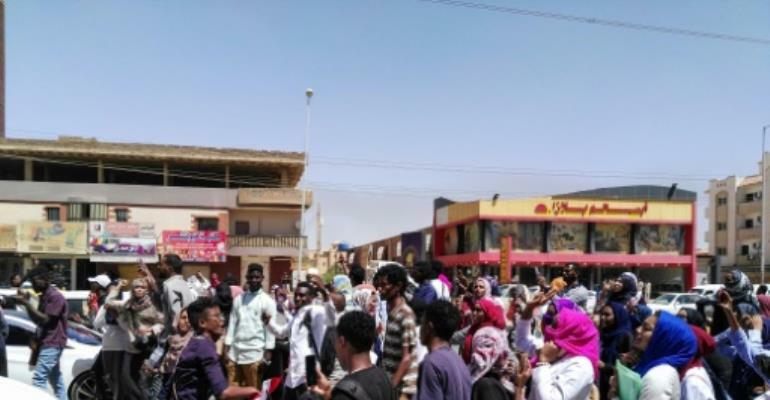 Chanting the protest movement's catchcry "freedom, peace, justice", protesters rallied in downtown Omdurman and in another district of the city witnesses said, adding that they were swiftly confronted by riot police with tear gas. Protesters also demonstrated in Khartoum's eastern district of Burri, a site of regular anti-government gatherings, and at a vegetable market in a southern area of the capital, according to onlookers. Riot police deployed in force in Burri to curb the protest there, a witness said on condition of anonymity, adding that demonstrators waving Sudanese flags marched along several roads in the district. Protests first erupted in Sudan on December 19 in the central town of Atbara following a government decision to triple the price of bread. They swiftly escalated into nationwide demonstrations calling for an end to the rule of President Omar al-Bashir, who swept to power in a 1989 coup. Bashir has remained defiant and, after an initial crackdown failed to end the protests, imposed a year-long state of emergency which parliament later cut to six months. Officials say 31 people have died in protest-related violence, but Human Rights Watch has put the death toll at 51, including children and medics. Several demonstrators have been jailed by special courts set up to investigate violations of the state of emergency. Since the new measures came into effect, the scale and intensity of protests have shrunk. Protest organisers have called for major nationwide rallies on April 6, including a march on the army headquarters in Khartoum. The protest movement, seen by analysts as the biggest challenge to Bashir's three-decade rule, was initially led by the Sudanese Professionals Association (SPA). Several political parties have since then joined the SPA to form an umbrella group called the Alliance for Freedom and Change to push for the demonstrations.